SHIPPING AND RECIEVING REMAINS FROM ABROAD* ~ Includes Transportation, Embalming, Choice of 6 Sealer Caskets as Required, Private Family Viewing prior to Shippment. $3800. You will receive the most Economical price and Highest Standard of Service selected. If you are not satisfied and you feel you have paid to much you owe NOTHING! 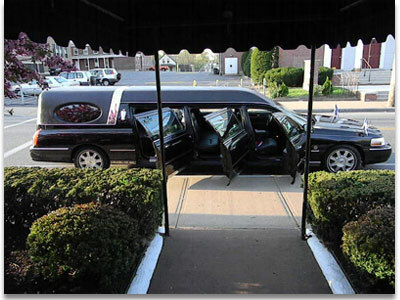 The biggest factor is the time element in terms of our personnel and the use of the funeral home facilities. The maintenance of this service is unending; that is, it must be available 24 hours every day of the year. Therefore, ours is a 168-hour week and not the 40 hour week which is the accepted standard. Many phases of our work are apparent; others are not. The following analysis of some of these details will help you to understand that no two funerals are exactly alike. Traditions, customs, social standings, personal feeling, financial ability and a multitude of other influences affect each funeral. Our services must conform to each individual family's wishes and their personal and religious needs. Hygienically prepared to insure protection to personnel and the public. A deceased who has a contagious or infectious disease requires special care and treatment in excess of the regular preparation. Necessary feature restoring to provide the deceased with weight, because of loss due to illness. e. File completed and signed certificate with Register of Vital Statistics in municipality where death occurred, and obtain a Burial Permit and as many certified copies as necessary, for the families needs. The above services require an average of 80 man-hours per funeral. 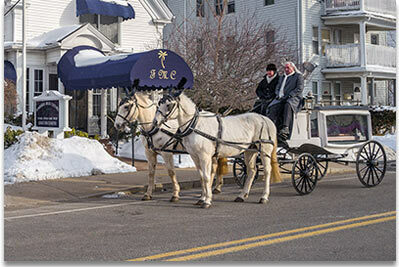 The Licensed Funeral Director is available following the funeral services to assist the family in filing all types of insurance and government forms. In addition to all the above, there are Licensed Funeral Directors and Embalmers, competent and understanding persons to answer the telephone, 24 hours a day, 365 days a year. A funeral home does not close on weekends and holidays!